In one of our previous blogs, Affordable Family Storage took a look at some of the most useful packing materials you can find. Generally, when you’re looking for storage solutions, people tend to do little research into how they pack their things. Instead, they go on past experience, or just whatever they have on hand. This is fine, but there are some materials people use to pack that have the potential to damage your stuff – either in packing, in transit, or over time when they’re in your storage unit. As a leading provider of storage solutions in Council Bluffs, IA, Affordable Family Storage is always here with useful advice. In this blog, we’re going to look at some of the worst things you can use to pack your personal items, and what makes them so damaging. It might be cheaper and easier to use old boxes to pack your stuff into, but if you’re doing this with storage solutions in mind, you may want to think again. 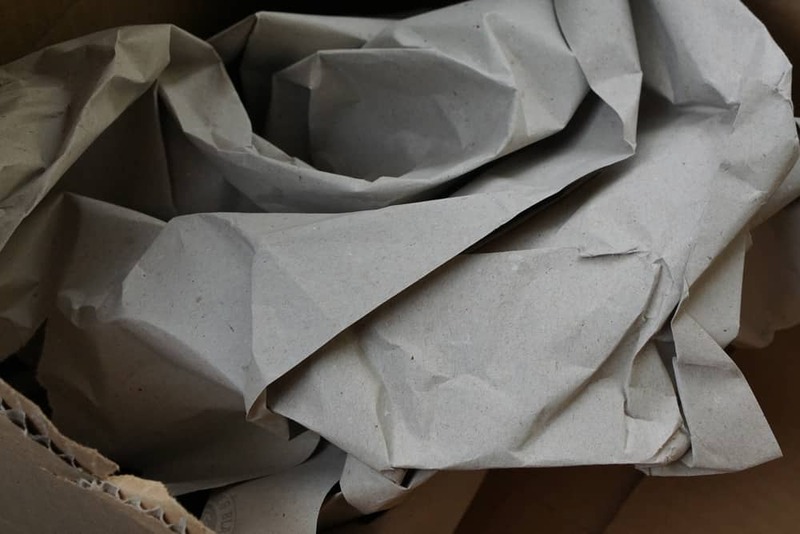 Older, and especially previously used cardboard boxes, are much more likely to become worn or break under excess strain. This isn’t to say that you shouldn’t cut corners here and there by using older spare boxes, but you should avoid it as much as possible. For long-term storage, you really should use something that can seal, and will properly protect your things for a long time. In our previous blog about the most useful packing materials for storage solutions, we talked about how important it is to use real packing tape. When it comes to the least useful materials, we can go into a little more detail as to which types of tape aren’t suitable. Cellophane tape is the most common household tape, so it’s certainly easy to find some lying around when you need it. But for packing, especially heavier items, it’s all but useless. Cellophane tape simply isn’t designed with the strength and adhesion you need for storage. While it might look strong thanks to its insulating properties, part of what makes electrical tape useful is that it can be fairly simply unstuck and re-stuck. This is great for its intended purposes, making it extremely versatile, but not so great for packing. The last you want for sealing containers is a tape that’s easy to un-stick. Much like insulation tape, masking tape is sometimes mistakenly used in packing up items under the assumption that it’s durable. However, also like insulation tape, part of what makes masking tape useful is its ability to be easily unpeeled – not much of a perk when it comes to packing and storing items. Perhaps one of the most common mistakes made in packing belongings - either to move or for storage - is using drawers and similar containers. Thinking about cutting corners and keeping that stuff in your hutch in their drawers after you take it apart? You’re greatly increasing the risk of that stuff being lost or damaged in transit. You’re much better off taking that stuff out and packing it separately, leaving the drawers empty. If you’ve been following our advice and have everything packed up and ready to go, get in touch for modern, secure storage solutions! Affordable Family Storage is dedicated to providing budget-conscious storage that’s modern, clean and totally secure. Our friendly customer service team is on hand to answer any questions 24 hours a day, so contact them about storage rental today.